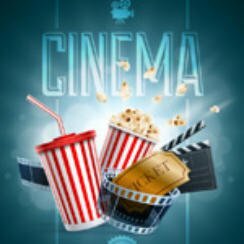 Popcorn Cinema Show takes a look at the weeks cinema releases for 5th February 2016 in the UK, US, Australia and New Zealand, along with their film trailers. So what movies can can you look foward to this week? In the UK you will have the chance to see Dad’s Army, a film based on the BBC 1970’s television series. Good news John Carpenter has announced a follow up album to the excellent 2014 Lost Themes. Lost Themes II is due out in April 2016. This is a film version of the classic BBC comedy with a totally new cast. Set in 1944 during WWII this is the story of the Walmington-on-Sea Home Guard. The year is 1947, Dalton Trumbo is one of Hollywood’s top screenwriter until he and other artists are jailed and blacklisted over their political beliefs. Travis and Gabby meet as neighbors in a small coastal town and end up in a relationship that is tested by one of life’s most defining events. Set in the 1950’s, this is the story of a Hollywood fixer who keeps the studio’s stars in line. Jane Austen meets an army of undead zombies. Ethan Hawke plays Detective Bruce Kenner, he has to investigate the alleged sexual abuse of young Angela (Emma Watson) by her father.